The Hotel William Gray is housed in two historical buildings – the Maison Edward-William Gray and the Maison Cherrier – dating back to the 18th century. The Hotel William Gray consists of a new glass tower sitting atop two historic buildings – the Maison Edward-William-Gray and the Maison Cherrier – both of which date back to the 18th century. Edward-William Gray was a sheriff and merchant who built this property in two stages around 1785. The northern part served as both a warehouse and shops for the auction of goods, while the southern part served as a residence for Gray. Of all the buildings remaining from the period before 1800, these two structures are rare in that their exterior appearance has been virtually unchanged. These two buildings are also the only living examples of an 18th-century property that combines residence and work, common at the time. After Gray’s death in 1810, his wife Margaret Oakes (the namesake of our restaurant) remained the owner of the building until her death in 1825. She bequeathed this property to her nephew Frederick William Ermatinger, Gray’s successor as sheriff of Montreal. After his death in 1827, the property was sold to Seraphino Giraldi, a hotelier and shopkeeper. Around 1850, the buildings were used as small barracks. However, after the construction of the new courthouse on Notre-Dame Street in the early 1850s, it was used as lawyers’ offices. The most important of these lawyers was George-Étienne Cartier, who had a study in one of the buildings until his death in 1873. The buildings were used for a variety of uses after that time, including a printer, shops, stable, restaurant and brasserie. 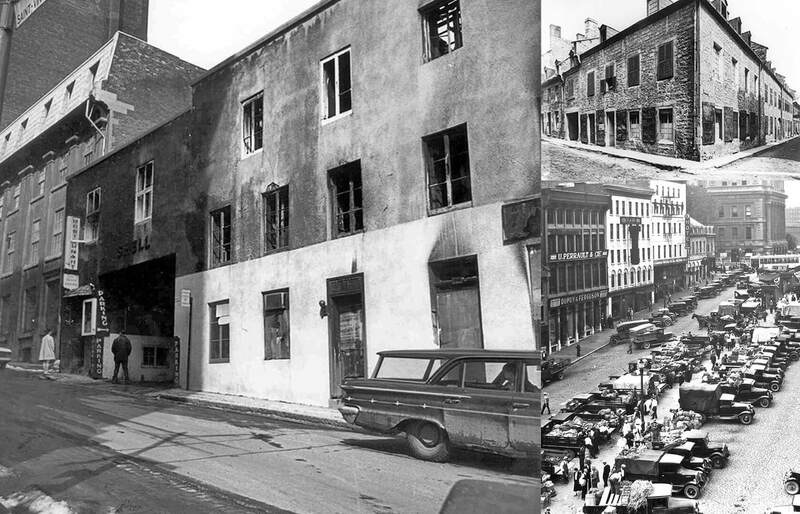 Following a fire in March 1968, the owner restored the two buildings according to their original appearance. It was classified as a historic monument in 1969. Even though Hotel William Gray has an intimate, boutique feel, we’re home to 10,000 square feet of meeting and event space. Book some of the most beautiful rooms in Old Montreal, including those with balconies, spacious views, stone walls or vaulted ceilings.